NOTE: This topic is for IELTS General Training test ONLY. If you are taking the IELTS Academic training test then skip this lesson. Several IELTS candidates fail to do well in the writing section of IELTS despite having good English vocabulary and grammar. They take the IELTS exam again and again and again and spend hundreds, if not thousands of dollars on books, CD’s and IELTS coaching classes only to be frustrated by low band scores and still aren't able to figure out why they can't progress beyond Band 6. So as promised, today I will share a secret with you that will help you sky rocket your IELTS Writing Band score by the end of this lesson. and will give you an unfair advantage over other candidates.. This is the document that IELTS examiners will use to mark your writing task and assign a band score to it. In order to score a high band score you will need to demonstrate the skills that your examiners are looking for in this document. NOTE: If you don't understand all the information in this chapter, don't worry too much. We will revisit every single one of them in a lot more details in the remaining topics for IELTS General Task 1. This refers to the core idea being described in the letter. If you incorrectly identify the purpose of the letter then you cannot score above Band 4. If the purpose of your letter is unclear then you cannot score above Band 5. Think of it like how your letter sounds when you read it in your head. Does it sound like you are talking to your friend (informal) or does it sound like you are talking to an official person (formal). Tone is defined by how you begin and end your letter and the structure of your sentences in the content. If you write in an inappropriate tone then you cannot score above Band 4. If your tone is inconsistent throughout the letter then you cannot score above Band 6 . If you address each bullet point but details are irrelevant, inappropriate or inaccurate then you cannot score above Band 6. If you use inappropriate format in the letter such as using bullet points or short notes then you will not score above Band 5. In other words, if you want to score Band 7+, you need to consistently, accurately and appropriately demonstrate the use of all 4 points highlighted above. With regular practice you will be able to do this well. Combine this with logically presenting your ideas in paragraphs and demonstrating a range of grammatical structures and vocabulary and you will soon be close to getting a Band 9 in Writing. You survived another day!! .. Go ahead and mark this lesson as complete chief..
Have questions or comments about this lesson or any other lesson add a comment below. Coverage and Formate tabs are showing the same content as ‘Tone of the letter’ is having. Can you please guide me, from where I could get details on those two topics. How to use the IELTS Twenty20 Course? How to ask questions and interact with other students? How to submit assignments for correction? How to write an introduction & overview? How to Identify Key Features in a Chart? How To Score Band 7+ in Academic Writing Task 1? How to begin and end your letter appropriately? How to write a letter of introduction? How to write a letter of complaint? How to write a letter of apology? How To Score Band 7+ in General Writing Task 1? How to identify the main topic and all parts of task 2 essay? How to plan the structure of your task 2 essay? How to write an introduction for IELTS Writing Tasks? How to use tenses correctly in writing tasks? How to manage time & adhere to word count limits for writing tasks? How to achieve cohesion and coherence in writing tasks? How to score Band 7+ in IELTS Writing Task 2? "Multiple Selection" questions in IELTS Reading? "Gap Fill" and "Diagram Labelling" questions in IELTS Reading? "True / False / Not Given" questions in IELTS Reading? How to answer "Summary Completion" questions in reading? How to score Band 7+ in IELTS Reading? What do IELTS examiners look for in the speaking test? How to answer self-introduction question (part 1) of IELTS Speaking? How to answer the individual long turn phase (Part 2) of IELTS speaking test? How to answer the two-way discussion phase (Part 3) of an IELTS speaking test? How to identify and address the main subject of the question? How To Deal With Unknown Topics in Speaking? How to score Band 7+ in IELTS Speaking? How To Quickly Improve Your English Speaking for IELTS? How to answer "Sentence completion" & "Summary Completion" Questions? How to answer "Table completion" & "Diagram Labelling" Questions in Listening? When should I sit the IELTS exam? 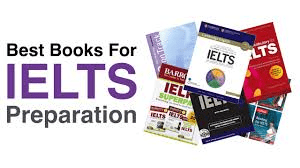 How To Book The IELTS Exam? How to cope with stress on the day of the IELTS exam?